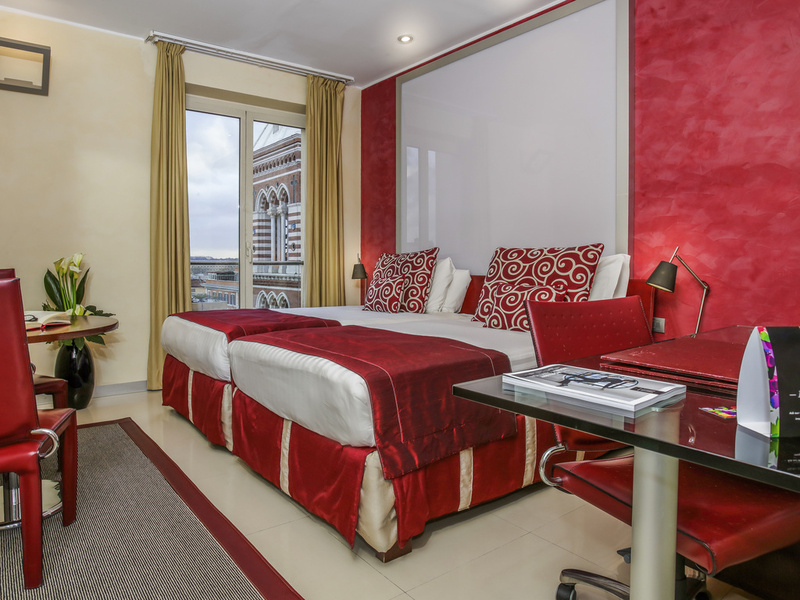 The Hotel La Griffe boasts an ideal position in the heart of the Eternal city, where Ancient Rome meets modern Rome. 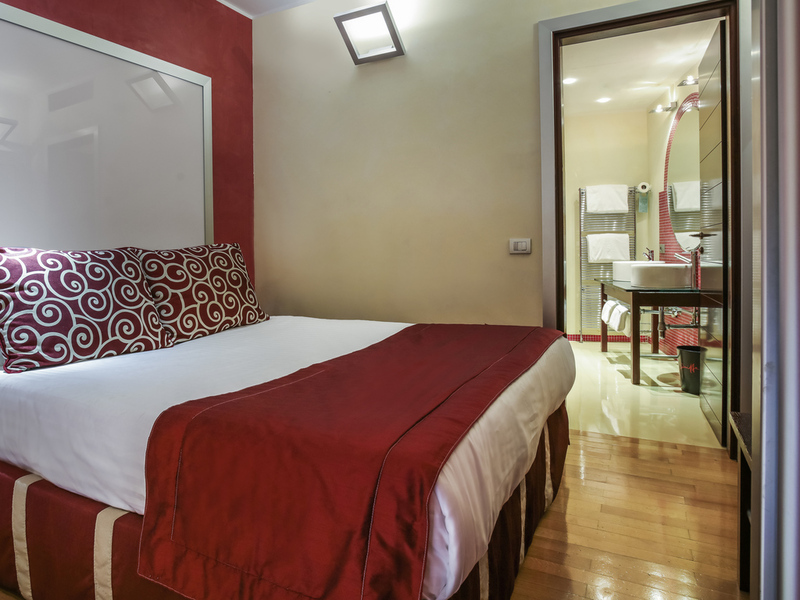 This contemporary hotel, renovated in 2013, welcomes you in an elegant Roman building that dates back to the 19th century, .. Delight your senses with gourmet dishes and panoramic views at our restaurant. Stroll through the bustling city streets and discover Rome's most famous monuments one by one. Sit back and enjoy the modern décor of this 19th-century building in the heart of Rome. Embark on a special trip around the lively streets of Rome and discover the most famous monuments of the Eternal City on a fabulous 1950s Vespa. For a few hours, you will feel like Audrey Hepburn or Gregory Peck, the protagonists of cult movie "Roman Holiday." The wonders of Rome's ancient and timeless beauty stretch along both banks of the Tiber. Through its steep streets or mythical shaded squares, this gem of culture, architecture and gastronomy is an unforgettable journey back in time and for the senses. 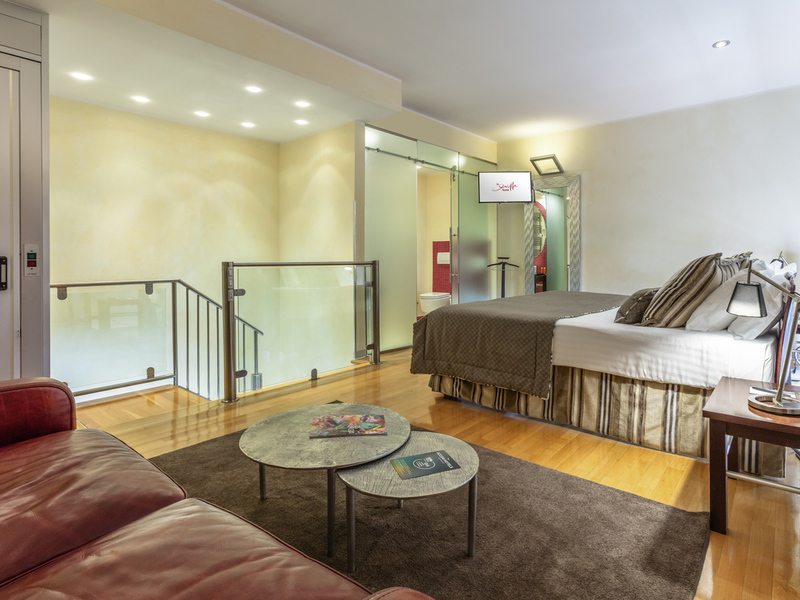 Located on one of central Rome's main streets, close to the major sights and ideal for both shopping and business. Just 3 minutes' walk from the Repubblica metro stop (line A) and 7 minutes from the Termini train station, from which you can reach Fiumicino (18.5 miles [30 km]) and Ciampino (15 miles [24 km]) airports. Civitavecchia port for the main connections to the islands is 37 miles (60 km) away. The rooms and suites in the collection's charming hotels provide all the modern comforts you expect in an authentic setting. 194 sq. ft. (18 m2), air conditioning, free WIFI, LCD TV, tea and coffee making facilities, minibar, safe. Bathroom with bathtub or shower, complimentary Etro toiletries, bathrobes, hair dryer. 258 sq. ft. (24 m2), air conditioning, free WIFI, LCD TV, tea and coffee making facilities, minibar, safe. 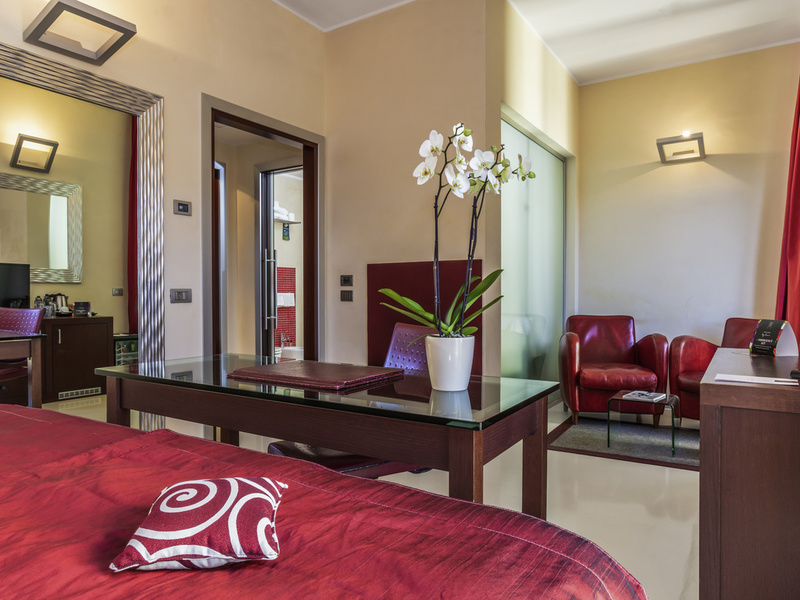 Bathroom with bathtub or shower, complimentary Etro toiletries, bathrobes, hair dryer. 334 sq. ft. (31 m2), 1 bedroom over 1 or 2 levels with separate living area. 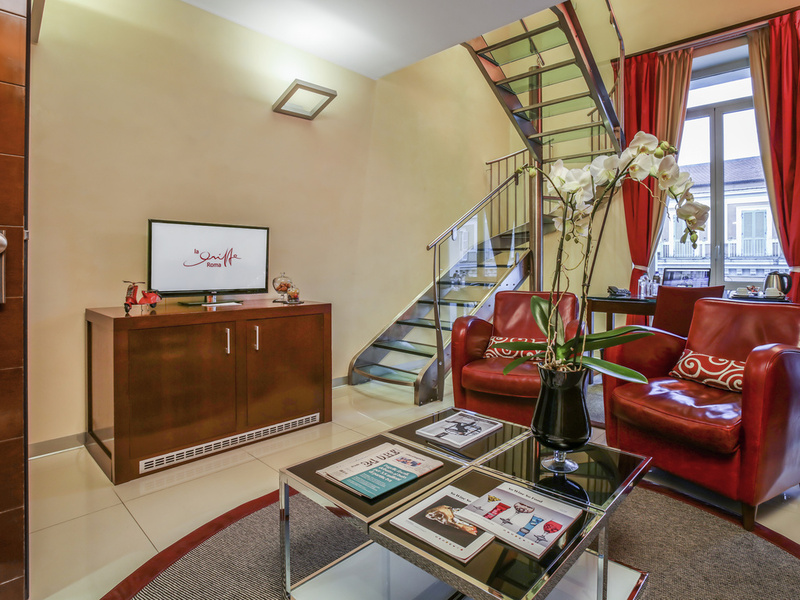 Air conditioning, free WIFI, LCD TV, tea and coffee making facilities, minibar, safe. Bathroom with bathtub or shower, complimentary Etro toiletries, bathrobes, hair dryer. 474 sq. ft. (44 m2), 1 bedroom with separate living area, air conditioning, free WIFI, LCD TV, tea and coffee making facilities, minibar, safe. Bathroom with bathtub or shower, complimentary Etro toiletries, bathrobes, hair dryer. 538 sq. ft. (50 m2), 1 bedroom over 1 or 2 levels with separate living area, air conditioning, free WIFI, LCD TV, tea and coffee making facilities, minibar, safe. Bathroom with bathtub or shower, complimentary Etro toiletries, bathrobes, hair dryer. La Griffe Restaurant combines magical surroundings and an exquisite culinary experience that offers traditional Mediterranean and local dishes, with breathtaking views over the rooftops of the Eternal City. La Griffe Restaurant with panoramic terrace offers a unique view stretching from the Altar of the Fatherland to St. Peter's Basilica. Combine a magical atmosphere and an exquisite dining experience with traditional Mediterranean and local dishes. There is always an excuse to visit the La Griffe Lounge Bar, whether for a delicious coffee, an aperitif or a light meal while taking in the spectacular views of Rome's skyline. Whether for seminars, conferences or incentive events, the MGallery collection is an exceptional setting for your meetings and events. The modern facilities available ensure you have a unique experience and a successful meeting. For weddings, celebrations, birthdays or reunions with family or friends, the MGallery collection hotels offer guests a unique experience in an enchanting setting. Terrace, swimming pool, garden... The enchanting MGallery collection hotels are ideal for hosting cocktail parties and receptions, and offer guests a beautifully sophisticated setting. Your wedding is a special day where nothing should be left to chance. To ensure a first rate reception, the hotels in the collection offer the bride and groom a wedding planner who can handle all the details. At the end of the big day, both the newlyweds and their guests find themselves just a few steps from their rooms. The newly married couple can enjoy a bridal suite with a four-poster bed, perfect for prolonging the romantic moment. Offer your guests a menu full of creative cuisine and local produce, prepared by our expert chef, which will continue to make your special day even more unforgettable. The charming MGallery collection hotels can arrange weddings and civil ceremonies, meaning the ceremony and the reception can be held in a single venue, in a prestigious hotel. Enjoy the luxurious intimacy of your room or suite (subject to availability). Uncork a bottle of sparkling wine and savor some homemade chocolates, our welcome gift for the bride and groom. Travel along the grand avenues of Rome on board a limousine with chauffeur. For larger groups, a people carrier is available. Enjoy the utmost comfort and luxury while you explore the city during your stay. Some hotels in the collection boast fantastic locations close to golf courses, ensuring guests can recharge surrounded by nature.